Stuttgart, Germany/Santa Ana, Calif. – October 26 –With a new race car based on the new, seventh-generation Porsche 911 (type 991) street car on the horizon, Porsche Motorsport has announced it will wind down its development program for the Porsche 911 GT3 RSR (type 997) – a very successful venture which began in the American Le Mans Series (ALMS) in 2005. Hartmut Kristen, head of Porsche Motorsport worldwide, in making the announcement, explained that the current 911 race car will reach the end of its product cycle, and, while support will continue for customer teams, further new component development will be discontinued in favor of resources devoted to the all-new car. “Just like our recent Porsche RS Spyder program, we must appreciate the success of our race cars during their product cycle, but move on to new models when it is time to do so. The venerable Porsche 911 GT3 RSR has provided our Porsche customer teams with numerous wins and championships, and will remain competitive in 2013. Porsche will support the customer teams which continue to race that car, but the time has come and we now must focus our research and engineering development efforts on its successor,” said Mr. Kristen. “The new Porsche 911 GT3 RSR is slated to make its North American debut in 2014,” said Kristen. In North America, the development partner helping to design, engineer and implement improvements in the current 911 RSR race car has been Flying Lizard Motorsports in the GT class of the ALMS. This partnership now is discontinued. Jens Walther, president of Porsche Motorsport North America, was quick to point out that customer teams still wishing to run the current 911 race car will be able to continue to do so in the American Le Mans Series with full at-the track engineering and parts support. 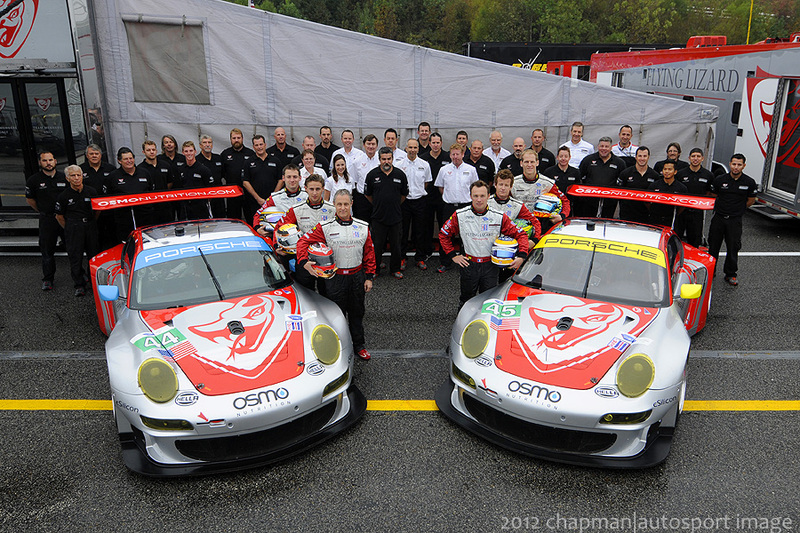 PMNA shop service from Porsche will also continue in 2013. “We will be at the track with our usual support for 2013, and some of our current customer teams have already committed to run the 911 GT3 RSR (type 997) next year. Each of the current teams will be announcing their plans as we get closer to the ALMS Winter Test in February,” he said. Walther also pointed out that the Flying Lizards have been a terrific development partner since they took on the role with Porsche Motorsport in2007. “Team owner Seth Neiman and his entire Flying Lizard Motorsports organization have helped both Porsche Motorsport and all our customer teams around the world by being our development partner in the U.S. Together we have won multiple championships in the ALMS. The team has assisted in testing everything from new engines and transmissions to the latest aero package we introduced earlier this year – all to improve the car for everyone. Inthe midst of all that, they won three straight ALMS GT championships in the most competitive class in sports car racing. We thank Seth and his team for that service, and hope their racing plans going forward continue to includePorsche,” Walther said. “It’s impressive how the 911 GT3 RSR has developed from year to year. The lap times alone are astounding, because despite the restrictions imposed on us again and again by the regulations, the car just got faster every year,” says Porsche works driver Joerg Bergmeister, who has celebrated the majority of his successes at the wheel of the 911 GT3 RSR. “I and the entire Flying Lizard family would like to thank Porsche for their support and partnership over the last nine years. More updates here as they come in….stay tuned.